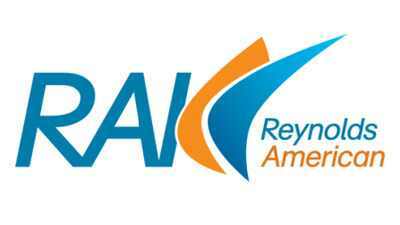 On Tuesday, Reynolds American, Inc. (NYSE:RAI) will release its latest quarterly results. The key to making smart investment decisions on stocks reporting earnings is to anticipate how they’ll do before they announce results, leaving you fully prepared to respond quickly to whatever inevitable surprises arise. That way, you’ll be less likely to make an uninformed knee-jerk reaction to news that turns out to be exactly the wrong move. Cigarette demand has been in a long-term decline for decades, and as a major domestic tobacco producer, Reynolds American hasn’t benefited from that trend. Can the company find a way to keep generating the impressive cash flows that have financed its lucrative dividends for so long? Let’s take an early look at what’s been happening with Reynolds American, Inc. (NYSE:RAI) over the past quarter and what we’re likely to see in its quarterly report. Can Reynolds American light up its report this quarter? Recently, analysts have gotten somewhat more optimistic in their predictions of Reynolds American’s earnings. They’ve raised their estimates for the just-finished quarter by a penny per share, but they’ve boosted their full-year 2013 projections by a much larger $0.08 per share. The stock has responded somewhat favorably to that news, rising 8% since mid-January. Reynolds American, Inc. (NYSE:RAI) has been under attack from regulators, health agencies, and other government bodies for a long time, but tobacco opponents have redoubled their efforts. After Reynolds and peer Lorillard Inc. (NYSE:LO) fought back against an FDA attempt to force them to modify their cigarette packaging to include warnings with graphic images, the Centers for Disease Control have launched ad campaigns highlighting the health risks of smoking. New York City Mayor Michael Bloomberg made a proposal last month to force stores to get rid of tobacco displays, as a follow-up with the 10th anniversary of his then-controversial smoking ban. As if that weren’t bad enough, President Obama hit Reynolds American again earlier this month, with a proposed increase of $0.94 per pack on federal cigarette taxes attached as part of his budget proposal. The measure would raise $78 billion over the next decade, but it would inflate the prices that smokers have to pay and thereby put further pressure on sales for Reynolds and its peers.